Not everyone with a green thumb has the luxury of a plot of land or even a big backyard to grow the garden of their dreams. This guide will tell you everything you need to know in order to get fit the most garden in the smallest space, no matter how much room you have. One of the challenges of living in a small space is that you have to maximize every inch of space that you have available. 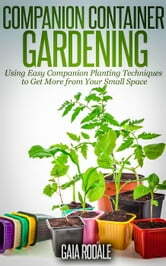 For those whose gardening space suffers from the same problem, companion planting is the answer. This guide will show you how growing multiple plants in the same container can increase the variety and often the yield of your gardening endeavor. Container gardening makes it possible for anyone, anywhere to grow their own vegetables, herbs, and even fruit. If you have a green thumb and are itching to get your hands in the dirt, with this guide, there is no excuse not to give yourself the pleasure of planting things and watching them grow. 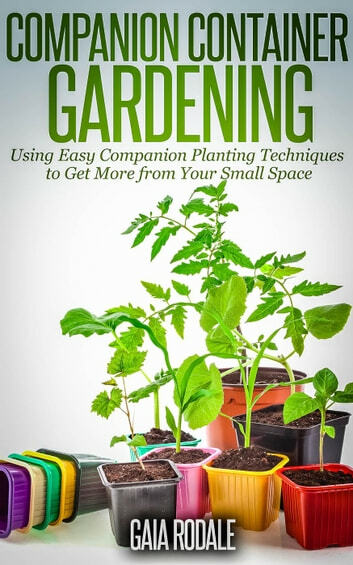 Just scroll up and get your copy of “Companion Container Gardening: Using Easy Companion Planting Techniques to Get More from Your Small Space” today, and start enjoying the “fruits” of your own garden this season!